Approaching at trans-warp speed, the 2013 Dragon*Con has a guest list that's growing more and more impressive each week. I've been giving a lot of thought about which celebrities are at the top of my "must-see" list and thought I'd share the list with you. You'll notice that my list is Star Trek heavy, but that's because I've been watching the show since I was very young child. You'll also notice--and deduct that since I've not met these celebrities--that the photos are not mine. The photos all belong to Dragon*Con, and each link to the Dragon*Con website. 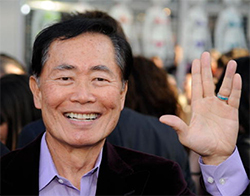 With 4.3 million Facebook fans, a LOT of people know George Takei. I was a fan of George's decades before there was such a thing as Facebook. Even if you never watched Star Trek: The Original Series, it's likely you've seen scenes of Sulu here and there over the years. George was also brilliant in the NBC television series "Heroes"...and he has quite the entertainment resume--Star Trek, of course, including six Star Trek feature films, other television and film, and stage and radio performances. George has my highest respect for his work as an activist. Having spent his boyhood in Japanese internment camps with his family during World War II, George today fights prejudice, injustice and fights for equal rights. When I saw that the bionic woman was on the guest list, she immediately went on my must-see list! I loved that show! I remember like it was yesterday the scene where she was back in the classroom after her bionic implants and rips through a telephone book! Lindsay was also considered for the role of my favorite Star Trek character--Captain Kathryn Janeway! Yes, I do believe it's true...six degrees of separation can apply to Star Trek, too. Lindsay is also an activist who fights child abuse and neglect...admirable. John Barrowman is the only celebrity on this list that I've see live, although I've not yet met him and would love to! Being the sci-fi fan that I am, many of my friends are quite surprised to learn that I've never watched Dr. Who. 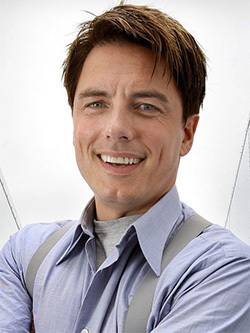 But when I watched, with a friend, a movie based on the BBC television series "Torchwood"--a spinoff of Dr. Who--I was totally hooked...I've been a John Barrowman fan since! Gareth David Lloyd and Eve Myles, both also of Torchwood, will both be attending this year's Con. He was also a panel judge on Andrew Lloyd Weber's BBC show "Any Dream Will Do"...and the most entertaining on the panel he was! I got to see John on a panel at last year's Dragon*Con and the man is hilarious! And it turns out that he's close with his family. In fact, his sister, Carole Barrowman, will also be at this year's Con! Jadzia Dax! Do I have to say anything else? Oh, alright. For those not so familiar with the world of Star Trek, Terry Farrell played Jadzia Dax, a 300 year old Trill on Star Trek: Deep Space Nine...and even as an alien, she was stunningly gorgeous! In preparation for meeting Terry, I've been re-watching DS9. Of all the Star Trek series, that's the only one that I've not seen every single episode of, so while embarrassing to admit that I've not seen every episode, it's exciting that I'll be seeing Star Trek episodes for the very first time! 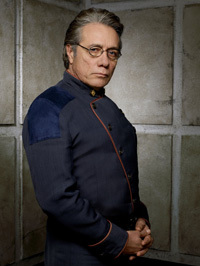 Olmos played Commander William Adama on the television resurrection of Battlestar Galactica--and it was the BEST SHOW ON TELEVISION! There are few television shows that I absolutely had to see live when they were on the air...that was the case with the 2004-2009 Battlestar Galactica. As great a job as Lorne Greene did back in the late 70s, Olmos was brilliant! He's also one of the few Latin actors in the U.S. to perform in a leading role in such a successful television show...a great role model for Latins across the country. Some of his former loves--potential career paths--included baseball and rock & roll. I hope he still gets to enjoy those, but I'm so glad that he became an actor...I can't imagine anyone else playing Adama as well as he did. Some of the most fun Worf moments on Star Trek: The Next Generation were the ones that included Lwaxana Troi, the mother of Deana Troi played by Marina Sirtis who was the first autograph I got at my first Dragon*Con in 2010. Michael Dorn--who played Worf, a Klingon raised by human parents--had the unique distinction of being the one cast member who spent more time having his costume and makeup applied than anyone else--for seven years! 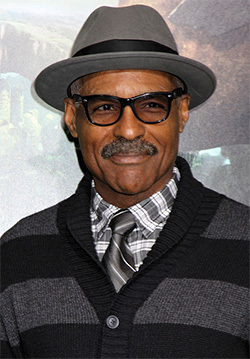 Dorn also joined Star Trek: Deep Space Nine after a couple of years and ended up with the distinction of having appeared as the same character in more hours of Star Trek than any other actor. Pretty cool, huh? Who wouldn't want to meet the first Captain of the Star Trek franchise?! Shatner has had quite the career, too. From appearing on Twilight Zone in October 1963, a few years before Star Trek, to the funny travel commercials we've all seen. 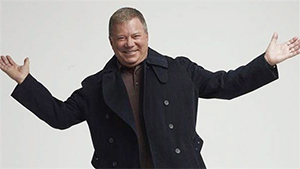 It'll be interesting to see how popular Shatner is...the original series has a very devout following. Avery will be the third of the five Star Trek television series Captain I will have met. 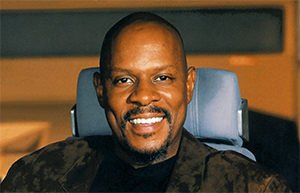 He did a great job as Captain Benjamin Sisco on Star Trek: Deep Space Nine. He also was the first African American to play a Star Trek Captain on franchise series...a role model for generations of kids! And speaking of kids, Cirroc Lofton--who played Sisco's son on the series--will also be at this year's Con. Q...what a brilliant Star Trek character...and a character that transcended series. 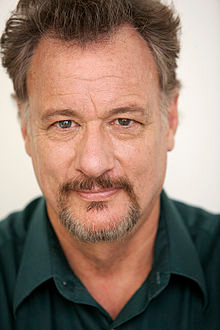 John de Lancie--who played the omnipotent character Q--originally appeared on Star Trek: The Next Generation and later appeared on Star Trek: Deep Space Nine and Star Trek: Voyager. I have a cassette tape somewhere of a stage performance by John de Lancie and Leonard Nimoy--"Spock vs. Q". It was a brilliant and I listened to it numerous times in the car on the way to here and there. The 6' 4" actor has quite the impressive resume...you'll be impressed! How could you not want to meet Xena the Warrior Princess? Really, how could you not?! AND, she also was a character on Battlestar Galactica, so that's a double plus for me! Although it seems that Lucy has been type cast, I have to assume that she enjoys the roles that she plays...if nothing else, they keep her in phenomenal shape! And she's great at those roles. I think meeting Lucy Lawless will require being in line very early or committing a significant amount of time for waiting in line...either way, totally worth it! 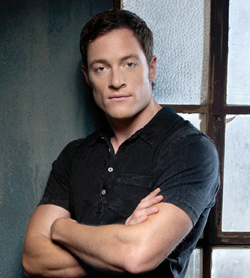 Kickboxer Tahmoh Penikett was also Lt. Karl "Helo" Agathon on the Peabody Award-winning Battlestar Galactica. Everyone on this list has an impressive resume and Tahmoh is no exception. He's been on a wind range of shows and movies, including Smallville and this year's Man of Steel. Turns out, Tahmoh's character wasn't supposed to be a regular character, but he was so well received by the show's fans that they created a subplot and kept him on the show. I can't imagine the show without him, actually. So, this is my current list of my favorites so far, but there are so many others who will be there that will make it difficult to not spend the entire Con collecting autographs. And the list will continue to grow up to the opening of the Con. I would like to offer a few honorable mentions...Traci Lords, whose music I've listened to for years; Billy Dee Williams of Star Wars; and Lips Down on Dixie who does a brilliant rendition of The Rocky Horror Show here in Atlanta at Plaza Theatre. Check out the Dragon*Con website and follow them on their Social Media channels, of course to keep up on who's coming to Dragon*Con 2013, and I'll see you this Labor Day Weekend!